While you certainly want to grab people’s attention with your direct mail, it is important to keep your focus on the information you are trying to convey rather than just the design. It doesn’t matter how pretty your design is if it’s not clearly getting your message across to the people viewing it. 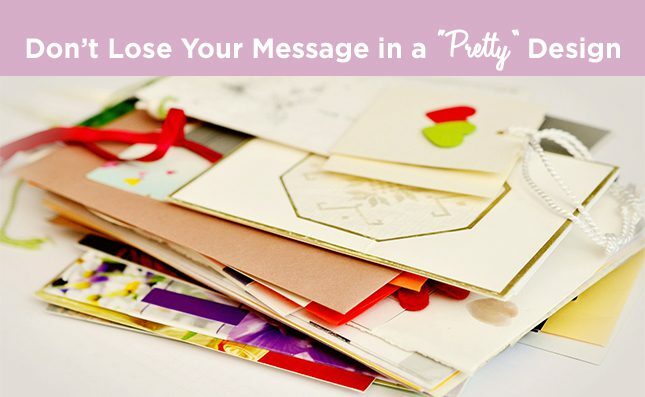 Here are some tips to make sure you don’t lose your message in a “pretty” design. This is the number one tip for any piece of marketing! As discussed in a previous blog post, your piece needs to be easy to read. Confusing headlines, too much text, and bad grammar or punctuation can easily land your design in the trash. People don’t want to expend any amount of effort to understand what is going on in an advertisement. Another very important factor is word legibility. Make sure that the text you use is a readable size, color, and font. What is the most important part of this piece? Are you trying to get people to purchase a specific product? Are you trying to get them to call a phone number in general? Figure out what the most important bits of your direct mail piece are, and make sure they stand out the most. The most important details should stand out against the rest. You can draw focus to a specific area by using a different color or size of text. You also need to think about the direction in which people generally read. If your direct mail piece is a letter, you don’t want your most important information to be in the last paragraph. In fact, should you be using a letter at all? Would your message be better conveyed via a postcard, letter, or self-mailer? Format is important because it dictates the amount of copy and images you can fit onto your piece. If your goal is to provide plenty of detail about your products or services, a larger piece like a self-mailer might be the best choice. On the other hand, if you just want to announce a sale or provide a few coupons, a postcard is probably your best bet. PrimeNet has several customizable options for you to choose from depending on what your needs are. You want your direct mail piece to flow and be easy to understand. It should make sense. All of your coupons should be in one spot, and contact info in another spot. Generally, each type of information should have it’s own section of the mail piece. If a customer wants to contact your business, they should be able to easily find your contact information without searching too hard. Use effective and quality imagery. The design elements that you choose to use should be of high quality and purpose. Don’t just put a picture on the piece for no reason. Any images you decide to add should be related to your business in some way. Additionally, you want to make sure that your images are of good quality. This includes things like: high resolution, good lighting, and being in focus. It’s also generally a good idea to choose photographs with a background that isn’t busy. 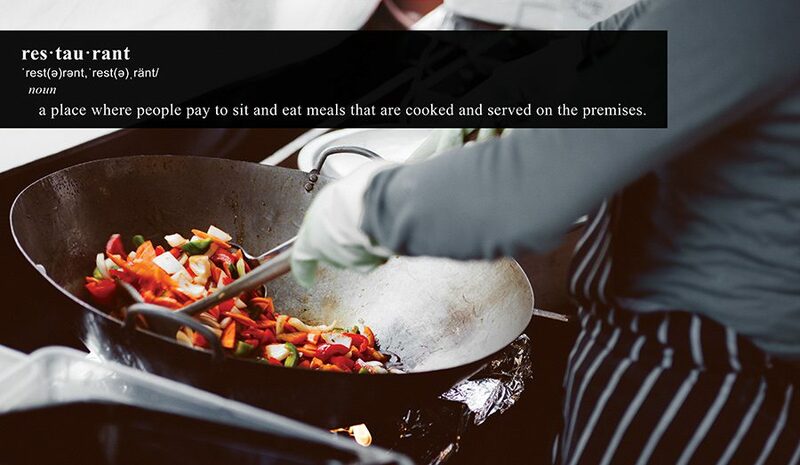 If you choose to put text on top of an image, you want to place the text in a way in which it can still be easily read. This is most well done on top of a solid background. Finally, make sure that your design elements serve a purpose. If you use decorative swooshes or bursts of color, use them to draw the eye to an important piece of information. Every single item on your direct mail piece should have a reason for being there. Without having purpose, these design elements can end up just making the piece too busy and far too difficult to easily understand your message. Are you an Automotive Marketing Agency? We’d love to work with you. Contact us here. 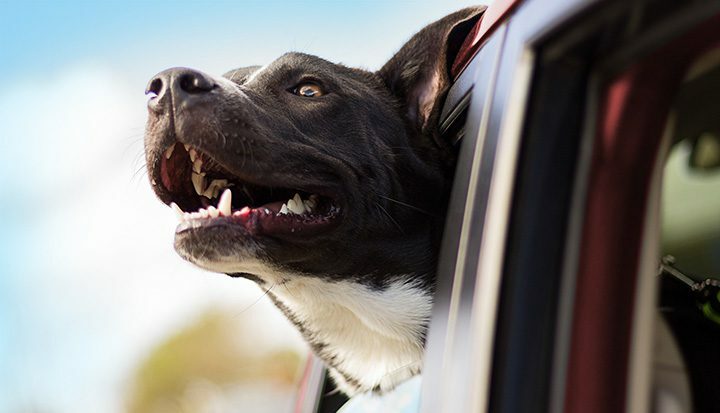 New or used car dealerships who work with a trusted automotive marketing agency typically see better ROI than those who don’t, but that may or not be the case for your dealership, depending on several factors. We’ve done some research to hopefully give you a better understanding of how working with an automotive ad agency may benefit your bottom line. Every dealership needs marketing to attract customers. Besides their need for marketing, small used car lots and big multi-location dealerships’ plans will be quite different. Advertising a 4-location dealership group in a major city will be very different from a single-location store in a smaller town, but even two dealerships that are similar may have different marketing needs. Marketing an automotive dealership requires a very different set of techniques than selling cars to someone who is already at the store. So, while a few dealerships have been successful with doing their own marketing, most will find they need the experience and resources that an advertising agency is able to offer. Advertising a dealership requires expertise in media buying and producing ads for direct mail, television, online, social media, search, and other avenues necessary to attract today’s consumers. Dealers’ time is usually best focused on selling cars at the dealership rather than learning to do all their own marketing. Deciding to use an ad agency is the first step. Next, you will need to find an agency that is a good fit for your dealership. Automotive marketing is different from other industries and what dealerships need varies from lot to lot, so agency research and ‘interviewing’ is important. Does an agency relationship fit the scope of your dealership? Fact: Sports teams perform best with a coach. The same is true with dealership teams. Many dealerships have groups within their teams who could potentially perform very well with their own advertising strategies, but to what end? In-house may be the best option for a small-scale mom-&-pop dealership who serves their section of the community and has no plans to expand, but what about if your needs exceed that model? On a short-term timeline, DIY can be a cost and time saver, but how about long-term? Does the dealer have the time, experience and resources for planning and buying media – or online marketing staff versed in optimizing keywords, scheduling email blasts, managing paid search ads, and updating web specials? How about a team of professionals designing ads and direct mail campaigns, or writing and producing TV segments– and a team to track ROI and web conversions? Do you as a dealership have the allocated resources and budget to manage all of the above in-house OR would you rather sell more cars to make more profits? Most automotive ad agencies have their own access to extensive networks of media providers including broadcast networks, automotive listing companies and more. Agencies also have access to lists and data sets in the automotive industry, as well as tools that focus on display advertising, social media, SEO, email marketing, rewards programs, equity mining, and OTT (over-the-top) advertising through media streaming devices. A good agency will spend a significant amount of time and resources to make sure that their team remains on top of the latest auto industry trends. What portfolio should you look for in an automotive advertising agency? A critical requirement of an automotive advertising agency is the ability to see beyond what the competition is doing. A great agency will develop unique and innovative solutions to create more traffic and generate more sales for your dealership or dealer group. So much dealership advertising is “copy-cat” and unimaginative – which can cause car sales to stagnate for dealerships. When researching agencies, be sure to look for an agency that stands apart from the usual, and is equipped to lead your dealership to a distinctive competitive advantage apart from the typical “low prices” message. 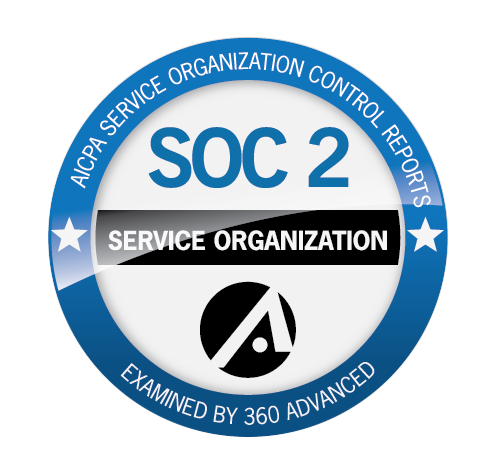 Don’t be afraid to ask for a few samples and recent ROI report snapshots. How is advertising an auto dealership different from advertising other businesses? Car dealers, especially dealer groups often have hundreds of different types of vendors all trying to get a portion of a dealership’s budget, and often have multiple decision makers to coordinate strategies. The auto industry is unique in that it requires a balance of short-term sales metrics, extended marketing goals, solid communication, and consistent execution to increase a dealer’s success. The ad agency should fully understand the automotive industry and know all aspects of a dealership’s operations – they need to be versed to work with a dealership beyond basic advertising and marketing goals. The best automotive marketing agencies are results-driven. For independent dealerships, key performance indicators include the number of leads generated, brand reach in the marketing list area, and amount of online engagement with potential customers looking to purchase within a specific amount of time. Good automotive marketing agencies will spend the time necessary to review the results of each campaign and make recommendations on how to improve outcomes for the next marketing campaign. What should dealerships expect the ad agency to provide? Back to the subject of DIY advertising; car dealerships are known for high turnover rates, and when working with an in-house team, the creative department may begin to become stagnant and often feel as if they have already tried everything. Successful campaigns consider lessons learned in previous campaigns, and with or without a formal non-disclosure or non-compete agreement, there is a risk of employees leaving a dealership, and taking their knowledge of those lessons learned with them, potentially leaving the dealership at a disadvantage for future marketing campaigns. Working with an agency will help your dealership maintain forward momentum. Since your marketing agency isn’t involved in the day to day running of your business, this acts as a benefit to your dealership. Agencies are experts in their industries and can provide dealerships with an outside perspective on what is working and what needs improvement. Automotive marketing agencies share “best practices” through other dealerships similar to yours. There are many benefits to working with an agency. Agencies are a valuable resource for marketing your dealership and providing reliability that can be critical in helping you set clear and relevant marketing objectives which align with the goals you’ve set for your dealership. In today’s hospitality industry, competition for guests is at an all-time high. Guests have quite a bit of information at their fingertips, so it becomes a case of not only getting them the information but also making sure that information includes the right message. Here are some tips to consider when sending direct mailings to potential guests at your hotel. Visitors are rarely coming to your hotel solely for the purpose of sleeping at the hotel. Instead, they are visiting a location. As a result, they will likely want to know about the activities and things that they can find in the area. If guests realize what is located near your hotel, they will likely more strongly consider a stay. Attractions can include restaurants, museums, or other entertainment options. You will want to be able to convince your guests that your hotel is centrally located. These days, being able to show guests that your hotel is wired and cutting-edge is one of the best ways to win over potential visitors. People want to stay at hotels that they perceive to be trendy. Hotels that feature smart appliances usually win up-for-grabs business in today’s environment. This includes smart televisions and smart appliances. Advanced technology is a surefire way to impress customers and to win business in an era when technology rules the day. In addition, you will want to advertise what industry trends your hotel follows. Customers want to know that your hotel is modern and that it keeps abreast of the times. Hotel marketers should find a brand and stick with it. Hotels should not try to be all things to all guests. Instead, hotels need to find their niche in the marketplace and continuously pursue it. All advertising should be consistent with the overall theme. If your marketing material is controlled and ordered, your hotel can maintain a unified marketing theme. Once you have chosen your marketing brand, it is vital to stick with it and not divert from it. It is only by pursuing a well-integrated marketing plan that your hotel can make a name for itself with guests. It is possible to break through to visitors of your hotel with direct advertising, even in today’s environment. 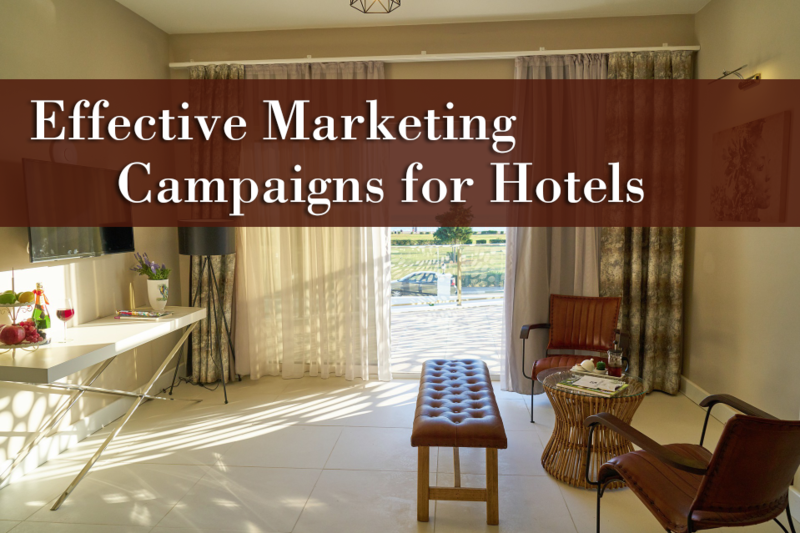 If you are engaging in a direct mail campaign, you should make sure that you highlight both the location and trendiness of your hotel and that you stick with the same marketing theme. Check out our portfolio to see how PrimeNet can boost your hotels direct marketing efforts! So, you’ve had great success with your Fall Savings, Thanksgiving Deals, Black Friday Blowouts, Holiday Specials, and End-of-Year Extravaganzas, but now it’s January and the “Holiday Hype” has come to an end. You may be wondering–what now? Although the 4th quarter can account for more than half of a business’s profits for the year, it is important to keep that momentum continuing into the new year. Continue reading to discover 5 useful tips to allow your business to have a successful January leading into a wonderful 2019! The new year is traditionally the time for making a new start, breaking bad habits and forming good ones. Using those themes in your marketing strategies for January can be pertinent to keeping up your current momentum. Don’t limit yourself to self-improvement for people; this can also apply to businesses. For example, if you sell office supplies, advertise those supplies as a way a business can organize for a successful upcoming year. The new-start idea is also applicable to renovating a home, learning a new skill, or starting a hobby. Shoppers have come to expect just one thing from retailers after the holidays: clearance. So think about additional ways to promote post-holiday buying. By offering up-sells, you can prompt more shoppers to reach thresholds on purchase amounts. You could also offer volume pricing or bulk buying discounts. This works well on smaller items that can be used as supply stock-ups or as simple gifts throughout the next year. And what about shipping? Flat-rate or free shipping still wins in ecommerce. If you run a loyalty or rewards program you can offer incentives for January purchases to both new and existing customers. Double points are attractive, as are additional points for performing certain tasks. You might also want to discount gift cards or certificates to help build revenue more quickly. Use the new year as an excuse to give yourself a fresh start as well. The beginning of a new year is the perfect time to revamp your data lists. Make sure that your lists are up-to-date to ensure that you aren’t wasting effort (and money) reaching out to customers who have changed addresses, lifestyles, or are no longer in need of your services. You can also take this opportunity to take a look back at all of the data you’ve been collecting and see what worked (and what didn’t.) If you’ve noticed that a certain coupon seems to bring in more new customers, keep using that! If another direct mail piece hasn’t seemed to have much of an impact, regroup and try again. So you’ve looked at your past year and discovered what kind of ads have worked, and what haven’t. Now is the perfect time to replace old, outdated ads with something new! PrimeNet is always coming up with new, innovative direct mail pieces that are sure to stand out against the crowd. Perhaps if you tend to stick with mailing out self-mailers, you can switch to postcards. Or try a new technique altogether–die cuts can be a creative way to capture attention. Although the holidays may be over, don’t forget that there are always upcoming events that you can cash in on. In January, you can focus on winter sales, or fresh start savings. February brings the Super Bowl, Valentine’s Day, and Presidents Day and after that you can start promoting “Spring into Savings” events. Anything can be marketed as a way to get customers interested in your products or services. Overall, the point is to just keep going! Once you quit building momentum, it’s hard to start again. 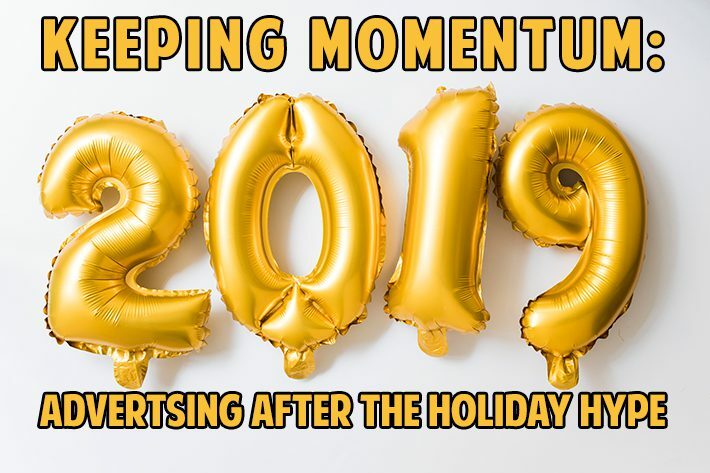 If you use these tips throughout the year, your profits will continue to snowball– and the next thing you know, holiday season 2019 will be here! Postcards can be one of the most profitable (and cost-effective) types of direct mail that you can use. 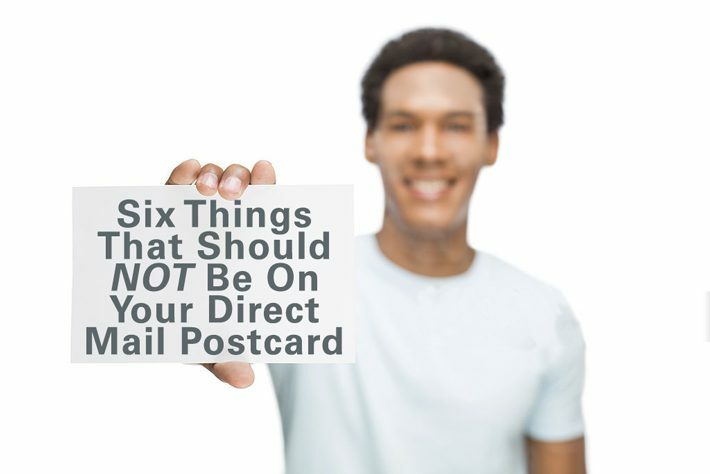 However, in order for your postcards to be the most effective, you need to only have the most important information and leave off anything superfluous. It’s definitely important to give the customer enough information about your business that they want to work with you, but remember less is more. Bombarding the customer with clutter or too much text is overwhelming and will give them reason to put your postcard straight in the garbage. A catchy headline is certainly important, however, they also need to be fairly obvious. Jokes and cleverness can be great for attracting attention but you need to make sure they aren’t going to go over people’s heads. No one is going to put in ANY extra amount of effort trying to figure out what your message is, not even an ounce of energy, so your message needs to be clear. Speaking of having a clear message, the easiest way to lose your message is to bury it in too much text. Once again, your customers aren’t going to put in ANY amount of effort to see what you’re selling. No one wants to read paragraphs of text on an advertisement. Try to stick with short, easily digestible copy. You don’t need to list every service you provide, or every detail of your business’ history–just the important parts. Photos can be very useful in capturing someone’s attention. However, that attention can be bad if you are using low-quality (pixelated, blurry) images. These will come across as unprofessional, and that is the last thing you want your company to be seen as. Also, make sure that your photographs make sense. If you are advertising a special for the fall season, you shouldn’t still be using last season’s beach photographs. Sure, using flashy graphics can be a great tool for capturing attention, but make sure it’s not at the expense of getting your message across. Function is more important than form. It is definitely important to have a good design and layout, but this layout should help make your message clear, not deter from it. Having a coupon or promotion is one of the best ways to promote your business. However, you want to stick to one or two GREAT offers, not 4 or 5 just okay ones. Having too many offers can be overwhelming, and distracting. A customer doesn’t want to sift through too much information to see which offer may be the best deal for them. It is also important to note that sometimes the best solution is to mail out different versions of the same postcard with varying offers on them. This can help for multiple reasons; you can test to see which offers garner more attention. You can also differentiate between new customers and returning customers. You may insult a current customer by sending them a “first time shopper” coupon. It should go without saying, but please make sure that you are using correct grammar, spelling, and punctuation. There are other common mistakes that appear in the advertising world that shouldn’t be common practice. For example, using “unnecessary” quotation marks. Make sure that you know what quotation marks should be used for. There are other ways to emphasize a word. For example: you can italicize, underline, or change the color, size, or weight of just that word. Also Try To Avoid Using Random Capitalization and excessive punctuation!!! This style of writing comes across as unprofessional. If you’re a real estate professional, you understand the importance of making your property listings stand out from those of your competitors. Aside from listing your properties on the MLS and hosting open houses, there are many other innovative ways to highlight your listings so that they get more attention from prospective homebuyers. 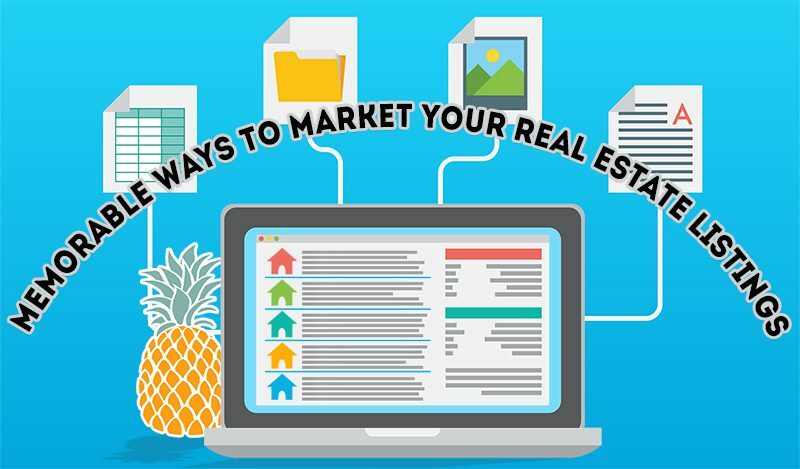 Using any of these marketing methods can help make your real estate listings more noticeable. In addition to mentioning the specifics of a particular property, highlighting the best attributes of the neighborhood where the home is located can help it sell faster. As Real Estate Marketing Blog points out, prospective buyers who aren’t familiar with the neighborhood will have an easier time picturing themselves living there if you include the right details. Your online listing should include detailed information about the schools, transportation, attractions and other amenities in the neighborhood. You can also mention the biggest nearby cities and how close they are to the property’s location. With search engine optimization, or SEO for short, you can help increase the visibility of your listings on popular search engines. This type of marketing involves using certain keywords within your website content to target the desired demographic. Local, long-tail keywords often work best when trying to find the right buyers. You’ll also want to make sure that the copy for each property listing is well-written and engaging. If you need help with devising an effective SEO campaign, there are plenty of companies that offer customized services. You’ll want to take as many photos as possible that showcase each property’s most desirable qualities. To get the best shots, HGTV suggests using a high-quality camera to photograph images with as much natural light as possible. Staging the home with attractive furniture and décor pieces can also make each photo look its best. Taking shots while standing in a doorway or corner can make every room look bigger and more inviting. These pictures should be included with your online listings and easy to view for people using computers, laptops and mobile devices. You can stay better connected to prospective buyers and advertise your listings by sending out real estate newsletters regularly. These newsletters can be emailed to everyone on your contacts list including other real estate professionals who may have clients who are looking for properties like yours. According to HubSpot, each newsletter should be 90 percent educational and 10 percent promotional to avoid seeming too salesy. Being creative with email subject lines when you send these newsletters out will likely get people more interested to read the content. Social media can be your best friend when it comes to marketing your properties. Clients want a real estate agent that is experienced and understands how to reach his audience. Almost everyone nowadays uses social media to some degree, and you can take advantage of all the free marketing opportunities that are available through this platform. Certain social media sites are known to be particularly good for real estate professionals. There are even online management tools that can be used to help you gauge how much time you should be spending on your social media efforts. Including videos of your properties on your social media pages can also help garner more positive attention. You can even view the social media pages of your competitors so that you can find ways to make your marketing better. By making your property listings stand out for the right reasons, you’ll have an easier time generating more sales consistently. Using the most effective marketing strategies to your advantage can pay dividends and help keep you relevant in your profession. Direct mail can also be a great addition to online advertising, and PrimeNet Direct Marketing Solutions offers direct mail experience and strategy to help your real estate company further improve your marketing tactics. With so many new ways to promote a business, it becomes easy to overlook proven marketing methods and established advertising solutions. There are a number of benefits to direct mail marketing that business owners would do well to consider. Realtors and other industry professionals seeking to generate new leads or find new clientele often find marketing by mail to be an ideal solution. The following tips may help to ensure marketing campaigns are able to provide superior results. Professional quality print and visual media is far more likely to enjoy a positive reception from its intended audience. Low-quality materials can prove to be a liability, one that may do little more than waste the expense needed to cover mailing costs. Marketing materials that are of even worse quality can actively harm a business’s brand and should be avoided at all costs. While online marketing methods offer a number of unique advantages, a digital format is not always ideal. Older clientele and those who prefer to do business in more conventional and established ways can be difficult or even impossible to reach through an online marketing campaign. 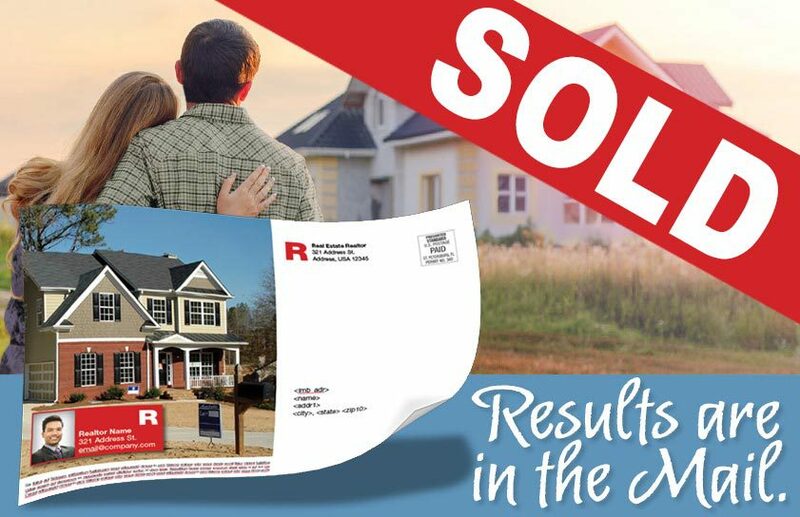 Direct mail marketing can often be a better bet for real estate professionals struggling to make contact with certain demographics. Spending too much to promote a business can become a major issue, especially for firms and realtors who have only limited operational funds to work with. Direct mail marketing is among the most affordable options for promoting a business. Getting noticed and generating new leads without breaking the bank may be simply a matter of utilizing the right tools and marketing techniques. Broadcasting promotional content indiscriminately is never an effective way for businesses to establish or manage the relationships they need in order to ensure future success. Direct mail marketing campaigns are easy to personalize and can go a long way towards building lasting relationships with clients and even whole communities. Real estate businesses would do well to choose the right format when communicating and interacting with their clients. Different marketing styles and promotional tactics may be required in order to achieve different goals. Marketing through direct mail can be a versatile tool, one that may be used in a variety of ways and situations. Real estate businesses seeking to craft a marketing strategy able to provide superior results would do well to seek out and select the resources and tactics that have the most to offer.